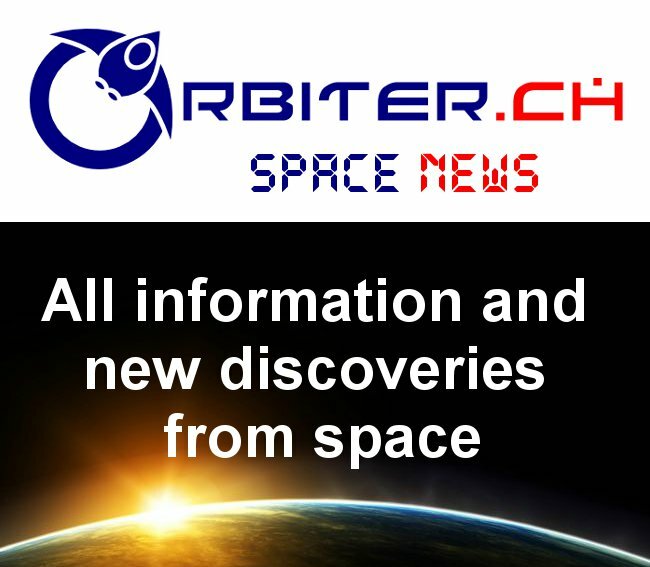 The US plan to create an expanded United States Space Force independent of the other five branches of the US military is slowly taking form in the current Donald Trump administration, but the genesis of the concept goes back to the 1980's and Ronald Reagan's Star Wars Strategic Defence Initiative. Since the new plan will essentially absorb major components of existing North American defence, including the North American Aerospace Defense Command (NORAD), there is no question that Canada's current defence policy, as outlined in the January 17th, 2019 Federal government overview, "Strong, Secure, Engaged: Canada's Defence Policy," will need to be revised to reconcile existing policies and partnerships with future US actions and intentions. Below is the second part of a short history of Canadian space defence planning which would suggest that there are certain defence components which Canada might want to carry out independently of the US. 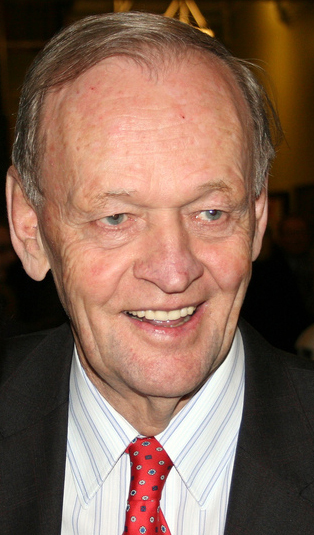 Jean Chrétien in 2008. Photo c/o Wikipedia. Part one, titled "The Axworthy Doctrine," highlighted how the dissolution of the Soviet Union in the early 1990's led Canada to re-orient defense spending away from traditional Canadian priorities and towards international peacekeeping missions as defined by the concept of "human security." This doctrine was initially viewed by the governing Liberal party under then Prime Minister Jean Chrétien as a great way to save money, but also created a requirement to support a far more combat capable force on lengthy international missions. The easiest way to do that, at least according to the Summer 2000 Canadian Military Journal article "Is the Sky Falling? Canada's Defence Space Program at the Crossroads," was to develop an indigenous military space communications and surveillance capability. Curiously enough, that capability was surprisingly similar to some of the concepts included within Ronald Reagan's 1980's era Star Wars Strategic Defence Initiative and carried over into the current Trump Space Force proposal. The massive troop deployments of the 1990s highlighted the immediate requirement for adequate indigenous Military Satellite Communications (MILSATCOM). The increased employment of precision guided munitions demonstrated a growing dependence on accurate strategic intelligence, satellite imagery, and satellite navigation and positioning. Also, the general increase in littoral operations by naval forces placed a greater dependence on accurate meteorological and geodetic capabilities. As the (Canadian) government continued to commit Canadian Forces across the world, more and more space support was necessary. Reluctantly perhaps, the Liberal government accepted that the militarization of space was a long-existing fact that had to be publicly supported if it was to meet other foreign policy goals. Canada’s endorsement of the United Nation’s treaty banning nuclear weapon tests in 1963 (the Comprehensive Nuclear Test Ban Treaty) and the United Nation’s Outer Space Treaty (UNOST) in 1967 were interpreted almost verbatim by Ottawa, and led to the removal of DRB (the Defence Research Board) control from most of Canada’s space projects. The first Trudeau government saw no distinction between the militarization of space (placing military space assets in orbit) and the ‘weaponization’ of space (placing weapons in orbit), and moved quickly to deprive Canada’s military of any space assets or capability. 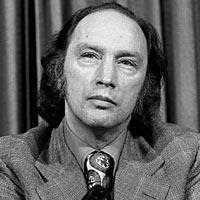 Pierre Trudeau in 1971. Photo c/o Life Site. In 1968, the government withdrew financial support from most defence space projects, preferring instead to concentrate its resources on the development of a domestic satellite communications system (through Ottawa ON based Telesat, which was then a newly minted government crown corporation). In essence, the long-term Canadian government policy, starting from the 1960's and continuing at least until the middle 1990's, was to simply "withdraw financial support" from the military in favor of civilian programs wrapped around commercial concerns. As future space technologies all but eliminate Canada’s traditional geographic situational importance, Ottawa will have to rely on providing a share of the security burden rather than relying on the outdated American involuntary guarantee of protection. Despite the rapid alteration of the global strategic environment in the late 1980s, and a succession of external conflicts and internal DND strife in the early 1990s, Canada successfully formulated both a DND space policy and an organization with which to implement it. In July 1989, the Chief of Review Services (CRS) tabled a comprehensive report on Canada’s defence space programme that initiated a series of policy recommendations over the next several years. A Space Defence Working Group (SDWG) was formed, and in 1992 it tabled its first comprehensive space policy. During the next four years, the SDWG developed plans and planning guidance documents, which among other items highlighted the requirement for an indigenous military space-based capability. In 1996, the management structure was then reviewed which resulted in the creation of the Directorate of Space Development (D Space D) in 1997 under the Deputy Chief of the Defence Staff (DCDS). But while the military had at least put in place a command structure, there were no real resources for the "indigenous military space-based capability" to command. The Canadian military's financial position remained precarious and the situation virtually guaranteed the continued, heavy reliance on foreign, mostly US based space assistance to fulfill defense needs. This put a considerable strain the Canada/US relationship. As well, an evolving US strategy (ironically enough, based on core concepts quite similar to those found in the Canadian advocated Axworthy Doctrine) slowly caused the Chrétien government to back away from some of the more critical practices associated with the US "global war on terror." This added a little extra strain to the relationship. Of course, there has been exceptions to this continued, heavy reliance on US assets for Canadian defence. The various RADARSAT programs, with their dual military/civilian use (culminating in RADARSAT Constellation, expected to be launched sometime this spring) and the DND Sapphire space surveillance satellite, launched in 2013 to provide data to the United States Space Surveillance Network (SSN) are current examples of useful Canadian contributions. But the long-term US conception of Canadian military capabilities remains trapped in the perception that Canada should pay more for its own defence. Besides, the Trump administration seems to have no problem with renegotiating agreements it believes are "unfair." So we've moved away from the situation existing throughout the 1960's to the 1990's when Canadian space policy provided no support whatsoever for military activities to the point where where the federal government created the beginnings of an indigenous military space communications and surveillance capability to support Canadian troops on international missions. This brings us to 2008 and the Harper Government's Canada First - Defense Strategy. How does the issuance of that government policy paper influence and effect the current Canadian military space policy and how does the 2008 policy fit into US space force discussions? That will be the subject of our next post on this topic. Portions of this multipart overview were originally published in the December 27th, 2010 post, "Canada's Military Space Policy: Part 2, The Changing Political Landscape." Last episode: "The Axworthy Doctrine," as part one of "A Short History of Canada's Military Space Policy and How it Fits into the Current US Space Force Discussions," begins. Next episode: "Towards Northern Sovereignty," as part three of "A Short History of Canada's Military Space Policy and How it Fits into the Current US Space Force Discussions," continues.